Time spent with loved ones is always important, but not every date has to drain your wallet! With the weather warming up and the sun coming out, spring is the perfect season to explore Mesa. Take a break from expensive dinner dates and check out some of the best activities to do in City Limitless for couples on a budget. Do you know what follows winter showers? Wildflowers, and the trails are covered in them! There is no better feeling than being surrounded by beautiful and vibrant flowers with your lovebird. Exploring the desert scenery and learning more about the plants that bloom in our beloved state is truly a wonderful experience. 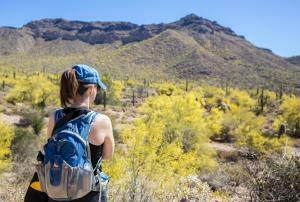 Whether you hike up Usery Mountain or stroll through Lost Dutchman State Park, there are many blooming trails in Mesa that will leave you in awe! Check out our blog to find a trail perfect for you! 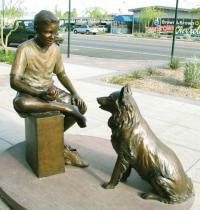 Search for the Downtown Mesa sculptures! Have a little fun in the sun by exploring the unique sculptures scattered throughout Downtown Mesa! Grab your date and stroll through Main Street to search for all 36 of these fine pieces. While you&apos;re on the lookout, you might also notice the spunky murals that take over the sides of local businesses. Downtown is truly a work of art! While you are searching for the sculptures Downtown, stop to explore the local antique shops in Mesa! These cute little shops hold many collectibles, antiques, furniture, jewelry and more. Don&apos;t miss out on all the unusual treasures you could discover. You&apos;ll also probably find a unique gift for your special someone as well! 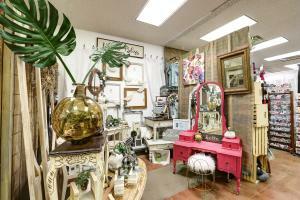 Check out our treasure hunting blog to learn more about the shops and hours in Mesa! There&apos;s nothing more romantic than roses, especially when you have the opportunity to stroll through a whole garden of them at Mesa Community College! 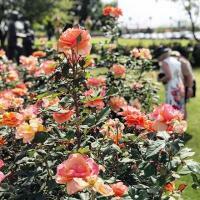 The Rose Garden holds nearly 9,000 bushes that light up the area with their vibrant colors. If you love "cute couple photos" then stop to smell the roses at MCC while they are in full bloom! Free tours are now available. 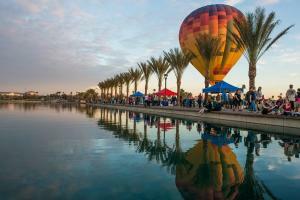 Take a walk through Mesa Riverview! Take a walk in the park with your loved one at Riverview Park! Whether you are checking out the display fountains or strolling down the walkways, there is plenty of beautiful scenery to explore. Nearby, there are many tasty dining options at the Mesa Riverview Shopping Outlet. But, if you&apos;re looking to save a few extra bucks instead, the park is a perfect place to set up a romantic picnic! You might even see some friendly ducks on the water too.